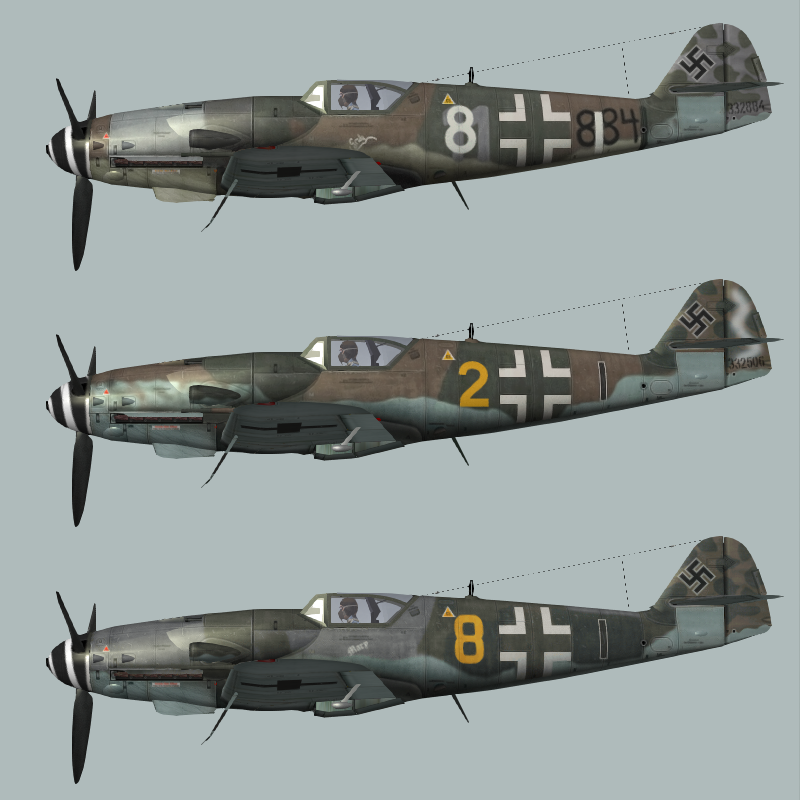 This is a pack of 8 skins from III/JG3 Bf-109K-4 from 1945; two staffeln from 10. and 11./JG3, stationed in noth-east Germany at the end of the war and photographed at Stettin and Pasewalk, in reality this was a mix of regular and "C3" K-4's. Yellow 8+| "Mary" W.Nr. unkown flown by Lt. Walther. White 4+| "Ingeborg" W.Nr. 334210 flown by Fw. Hans Strebel. This machine is often also described as Yellow 4, but another photo from Pasewalk shows a differnet machine that seems to be Yellow 4, so I went with white for the time being. I should add these are all 24-bit skins, so they won't work with an un-modded game. Nice work. 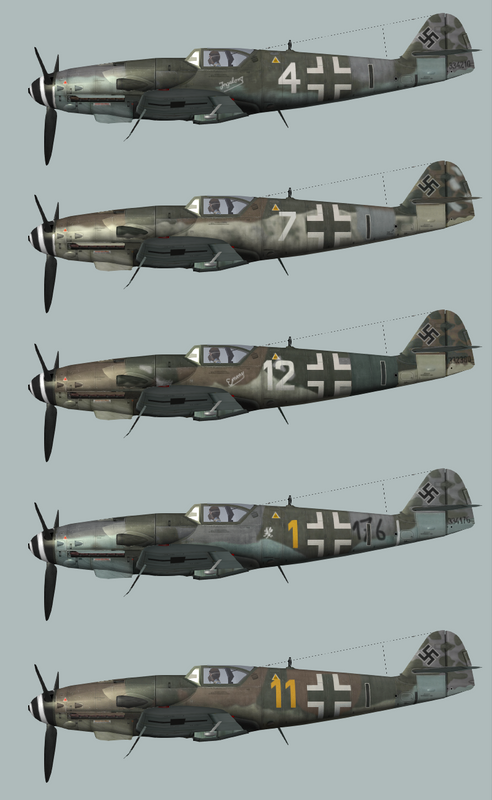 Would it be possible to offer "1024" skins as well!? I've been looking for these since his site went down and my PC exploded! Do you have the rest of his works? If so please share! Thankyou!!! All the best sir! Very nice, Many thanks for sharing. toll! thank you verry much!